We’re living in divided times, and no PR professional is immune. If it weren’t for historical reminders, like those Hamilton-era honor duels, you’d think our culture is more splintered than ever. Part of what hinders communicators are changes in the news media. The media that once united us has fragmented into highly curated content feeds that mostly reinforce what we already believe. Post-election, the press is derided as “fake news” by some who don’t like the message, and there’s plenty of “real” fake news in our social streams. So, whom do we trust? Fewer than half of adults say they trust organized religion. Approval of Congress is near an all-time low, and civic engagement has declined. Even science has been politicized and met with greater skepticism than in the past. According to Gallup research on trust in U.S. institutions over the past 40 years, only the military is a clear winner. American confidence in the defense and military industry shows a significant rise, up 15 percentage points since 1973. Meanwhile, the culture of celebrity still thrives — just look at the current occupant of the White House. And consider the role Jimmy Kimmel played during the latest divisive and very complicated national debate over healthcare. Kimmel seemed to break through where politicians and pundits couldn’t. Yet in the Trump era, there’s another sector that may have a unique opportunity to step into the breach — the business community, and those who help CEOs communicate. Before you laugh, think about the past two years. Certainly the public is cynical about business, particularly certain industries like pharma, banking, and the tech industry as epitomized by Silicon Valley. But in times of chaos, we are seeing established corporations, led by CEOs, become powerful advocates for those who lack a voice. Big business is in a position to offer a form of civic and social leadership that is very scare in our government or other institutions. And the public relations professionals who serve them can play a role in shaping advocacy campaigns. Earlier this year business leaders began to speak out as never before on highly politicized issues like climate change, immigration, and LGBTQ rights. We’ve seen the power of corporate advocacy in the controversy over multiple state “bathroom bills” in 2016 and earlier this year, when countless CEOs joined the chorus against legislation that many saw as discriminatory and that they found – if nothing else – bad for business. Post-election, many businesses mounted a similarly vocal response to the first of the president’s travel bans. Led by technology giants like Google and Apple, more than 100 businesses joined the legal fight against the executive order. Many issued statements supporting sensible immigration and pledged help for those affected by the proposed ban. But events in Charlottesville brought a tipping point. The president’s shambolic reaction to the white nationalist march drew a fierce response that went well beyond political pundits. His remarks spurred rebukes by major business executives like Merck CEO Kenneth Frazier, who resigned from the presidential council on American manufacturing. “Dump Trump” moves by Under Armour, Intel, and even Walmart followed, as well as public rebukes from many more CEOs. Brand advocacy has never happened like it’s happening now. And it could be that these pragmatic, profit-driven CEOs are best suited to exert the missing “moderating influence” on the president and his allies — with help from skilled communicators. 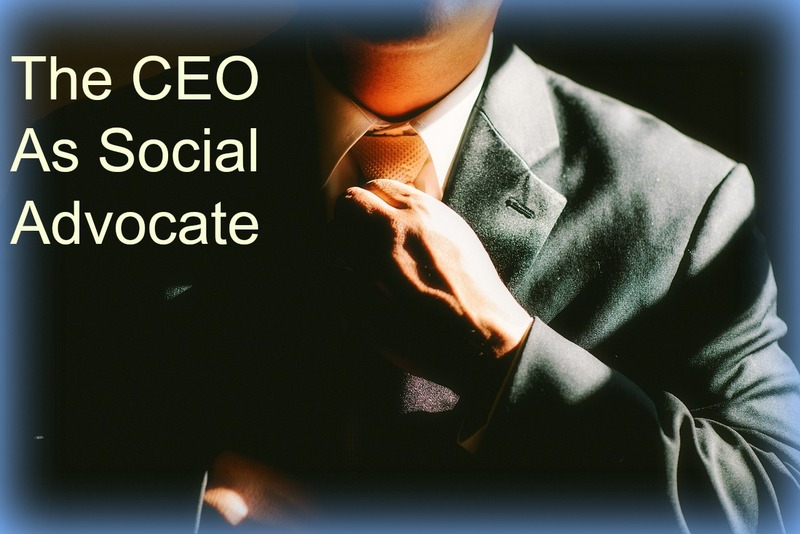 Next up — How the most skilled corporate CEOs have embraced advocacy.